Book signing at Indy Author Fair was chance to offer my books to new readers. 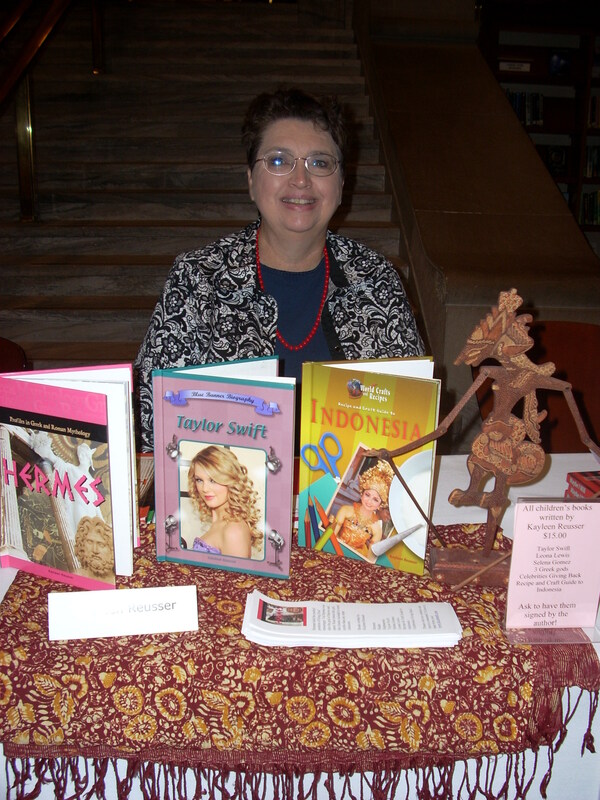 Recently I was honored to be chosen to participate in the Indy Author Fair. It was held at the Central Library in downtown Indianapolis. The Indy Author Fair is presented by the Eugene & Marilyn Glick Indiana Authors Award and The Indianapolis Public Library. The fair was free and included other free activities including a panel discussion of award-winning authors. While I did not participate in the discussion as a panelist, I did enjoy the book signing session and meeting other authors from the state of Indiana who have published books. 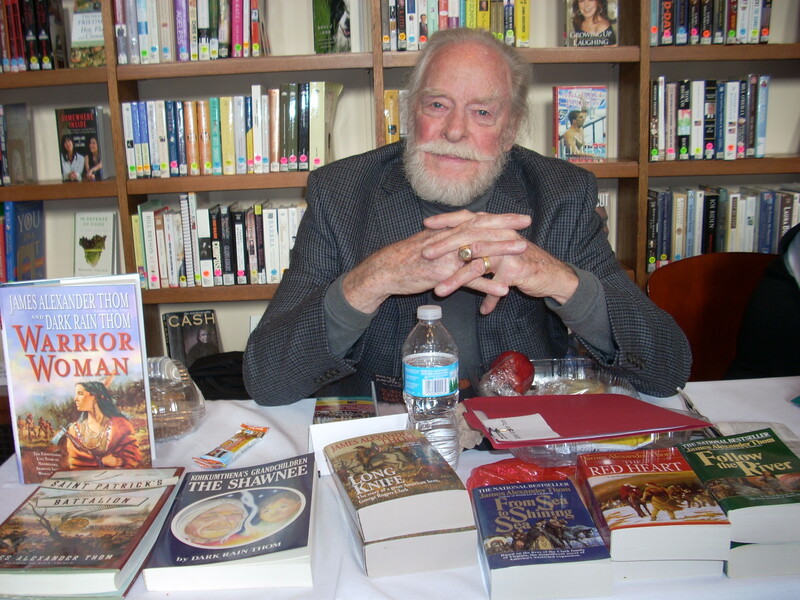 James Alexander Thom is Hoosier author of historical novels. One author I was especially privileged to meet was famed historian James Alexander Thom. I read his book Follow the River in the 1970s and loved it. As luck would have it, I was seated near Mr Thom and took the opportunity to tell him of my admiration for his research in the historical novels he’s written about Native Americans. We chatted several minutes and it was a highlight of the day for me. I purchased his book, Red Heart, about the story of Frances Slocum, a white child kidnapped and raised by Miamis. She was eventually found living in Peru, Indiana, with the tribe and refused to leave them when her white family begged her to return with them to PA. Interesting! Another highlight was meeting a ‘fan’ of mine of sorts. 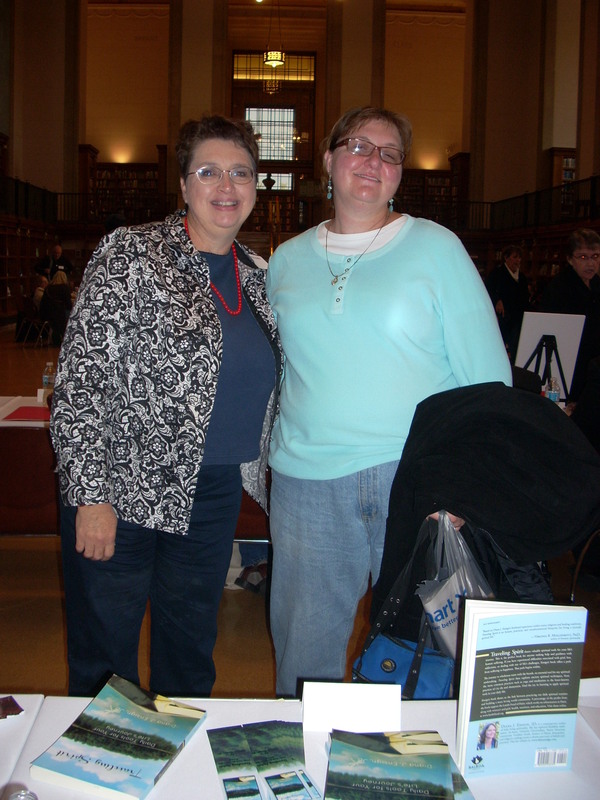 Meeting readers is a fun part of author fairs. Mandy Suhre attended my workshop in 2012 of the National Missionary Convention in Indianapolis on ‘Writing That Praises God’. She’s kept in touch with me during the past year and is pursuing her ambition of being a published writer by meeting authors at the fair. Although she didn’t know I would be at the fair, she did introduce herself to me. I was thrilled to see her and wish her God’s grace on her future as a writer. 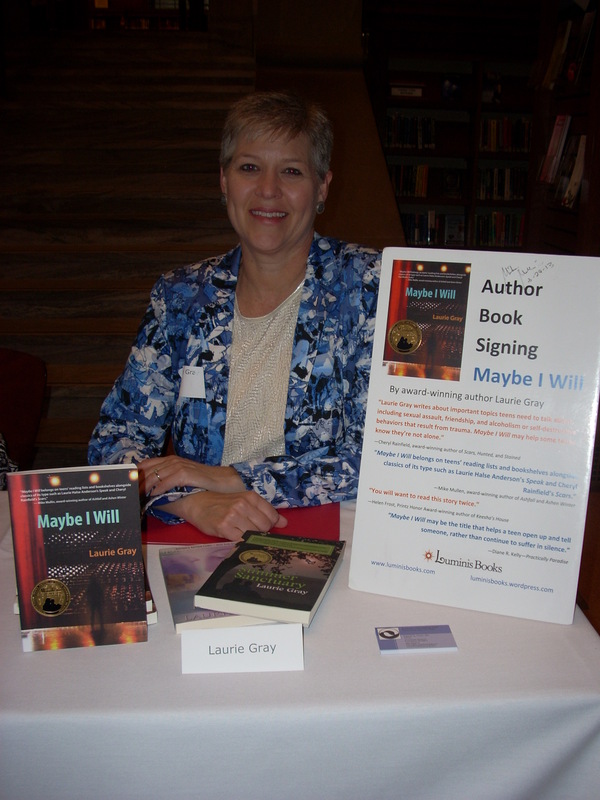 Laurie Gray has authored books for children and teens. Still another highlight was spending time with my friend Laurie Gray who is the author of books for children and teens—Summer Sanctuary and Maybe I Will. She has other books being released by Luminis in 2014. What opportunities are you using to expand your knowledge of writing and book publishing? The year 2014 might just be your time to shine!